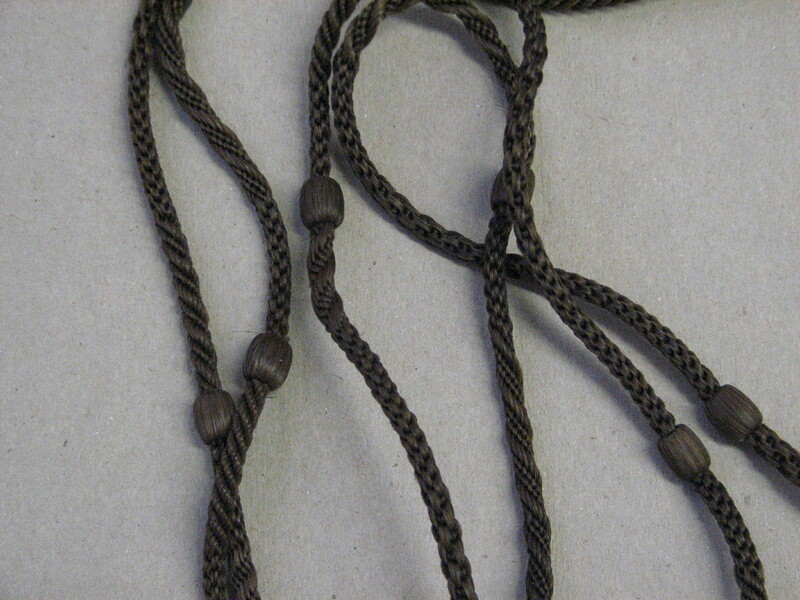 This hair rope belonged to Anna Wrolson. She married Andrew Torguson 1/6/1872 and died 11/11/1889. The rope makes sort of a necklace. It is woven in several different patterns and forms a complete loop. The center of the loop has a sliding bead – also made of hair. 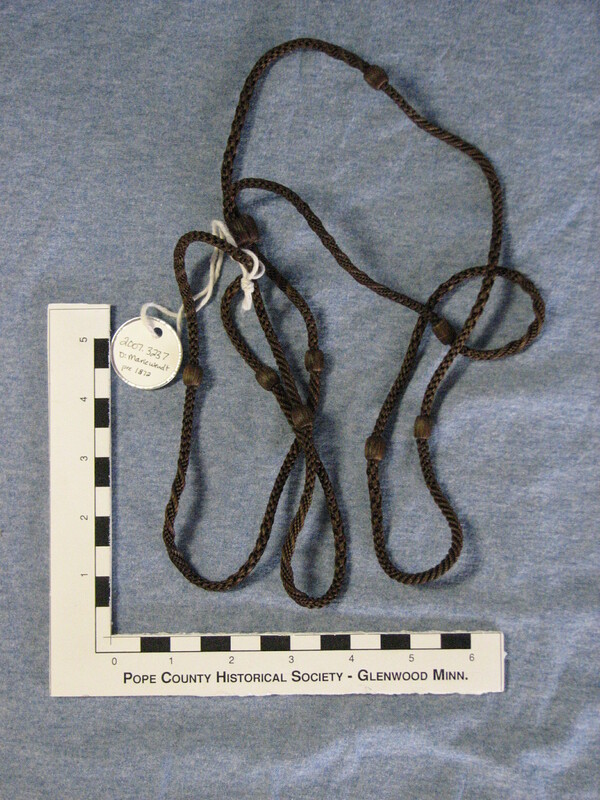 This entry was posted in Collection Notes and tagged Glenwood Minnesota, hair chain, Hair Rope, hairwork, Pope County History, Pope County Minnesota, Pope County Museum, Victorian Era. Bookmark the permalink.